Theme weddings are all the rage these days. Traditional weddings are fun and exciting as well but theme weddings add on to the entertainment factor. They also happen to make for some picture-perfect moments. Weddings are primarily religious events and it may become a challenge to smoothly incorporate a theme in such a solemn gathering. 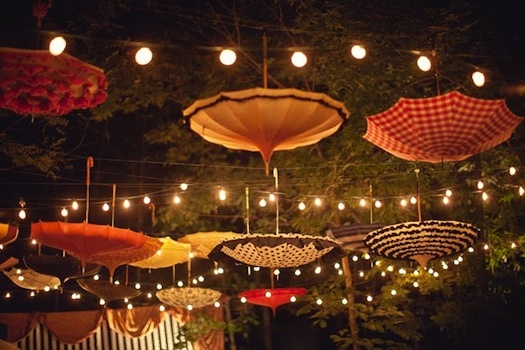 However, the following pointers can help you pull off a themed wedding. Couples everywhere tend to pick a theme which binds only the two of them together. The guests aren’t really taken into consideration. Especially at a wedding, people of all strata and age groups get together. It is, therefore, imperative that we pick a theme that resonates with a majority of the attendees. Don’t burden the guests with the responsibility of strictly sticking to the theme. To implement it, decorate accordingly, or keep themed return gifts. But don’t compel everyone to adhere to a certain dress code or compulsorily wear a certain item. There is only so much coordination and discipline people can manage on a particular day. There are numerous ways to implement a theme. Most of the tried and tested ones are usually difficult or expensive, Thus, theme weddings actually have room for a lot of creativity. As mentioned earlier, you could have themed decor and even themed return gifts. Also, themed cuisine, invites, location, and even themed album or wedding video are possible ideas. In your quest to keep it simple, make sure the theme isn’t lost in the background. Make it known and keep it open to all to join in on your unique celebration style. This is why keeping themed invites or cuisine is a nice idea as it communicates the essence of the theme to everyone rather than be exclusive to only a few close to the couple. Wedding planners are equipped with the skills not just to execute regular weddings but even themed weddings. In fact, hiring a planner to manage a themed wedding might work out more economic than handling the whole thing yourself, even after considering their charges. Pick a wedding planner who is familiar with your theme and has some experience with themed weddings. With weddings in general, things rarely go as planned, more so with themed weddings. Whatever happens, a wedding in itself is a beautiful pure union of two people and is more than likely to be an enjoyable picture-perfect occasion. Relax and stay assured that whatever you planned your wedding as is going to happen. Previous PostPrevious Inspiration from Alia bhatt’s wardrobe!